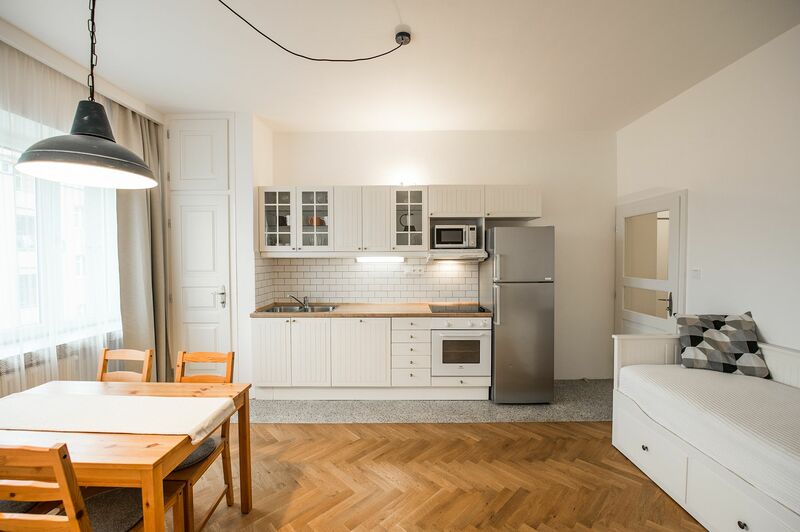 This bright, newly refurbished and furnished 1-bedroom flat with a balcony is on the third floor of a well kept, fully renovated residential building with a lift. 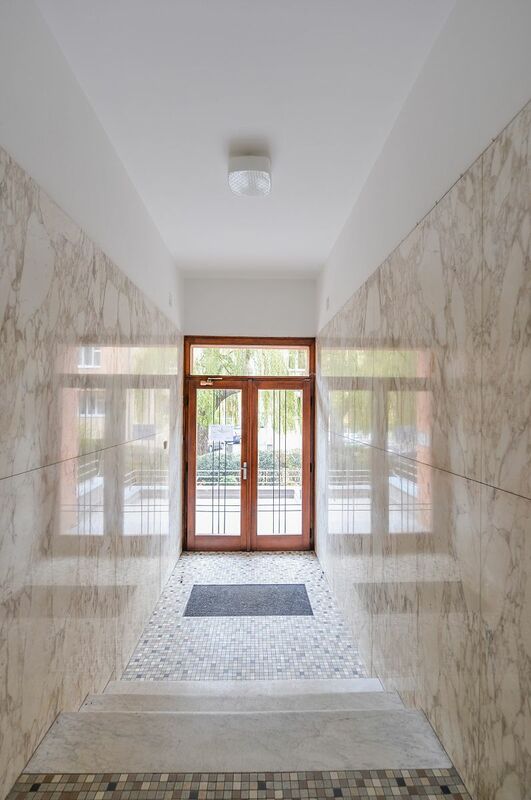 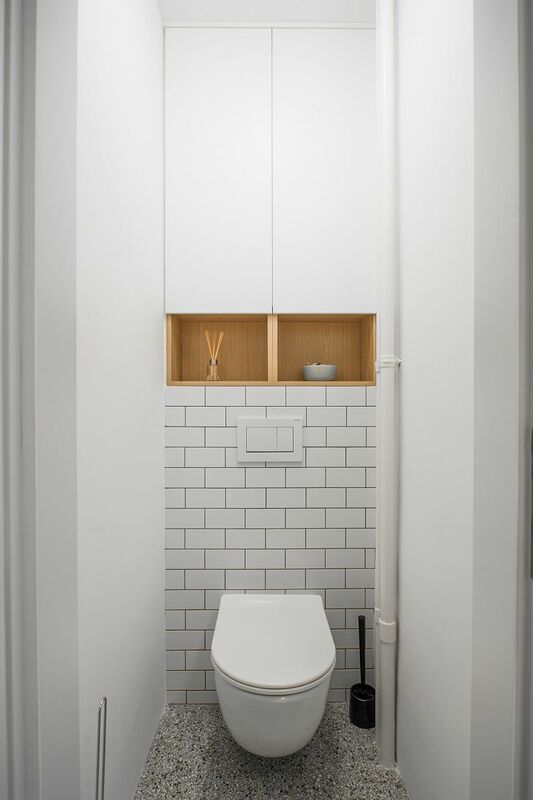 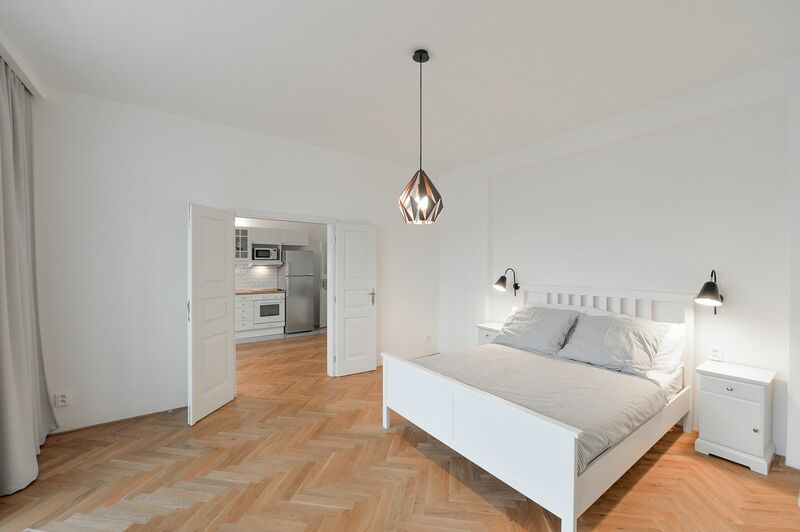 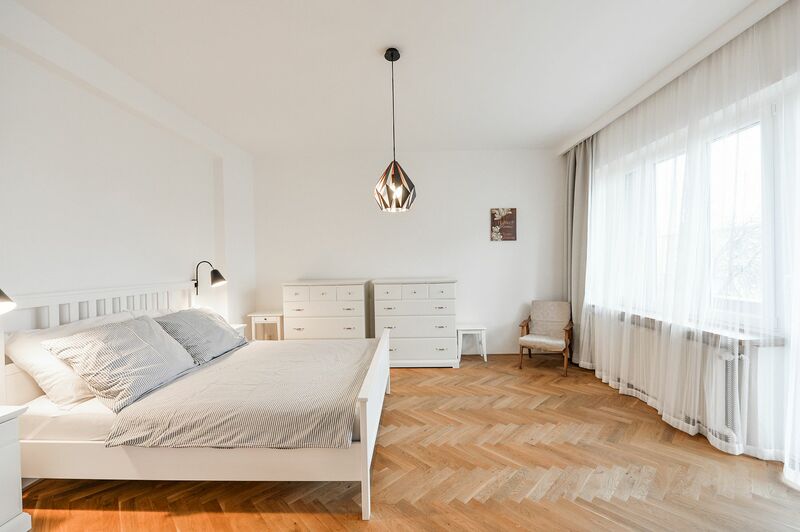 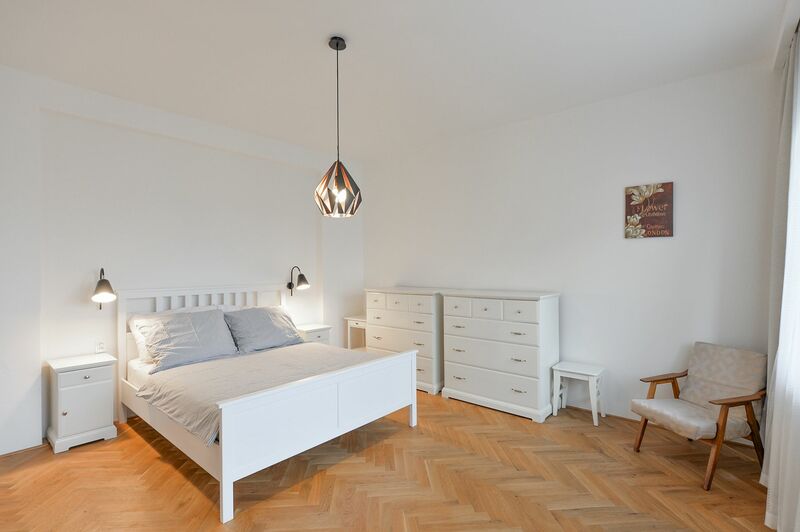 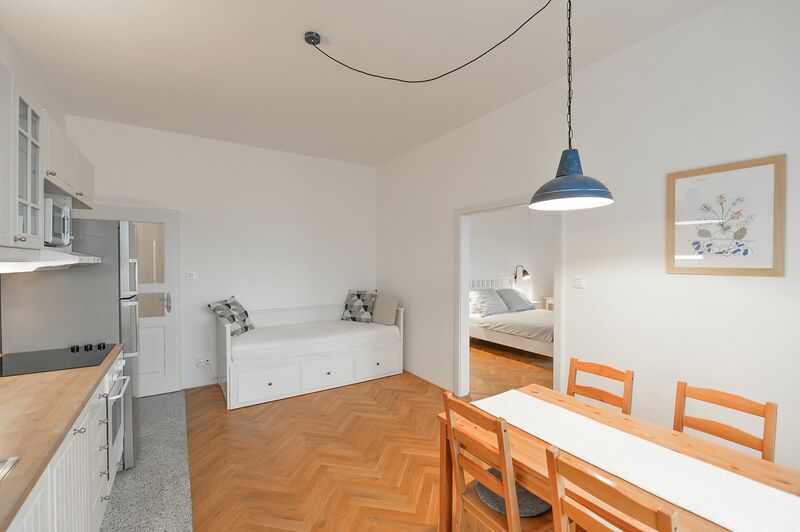 Situated in a quiet street in Břevnov, Prague 6, within easy reach of the Prague Castle and Ladronka Park, with quick connections to metro, the city center, and the airport. 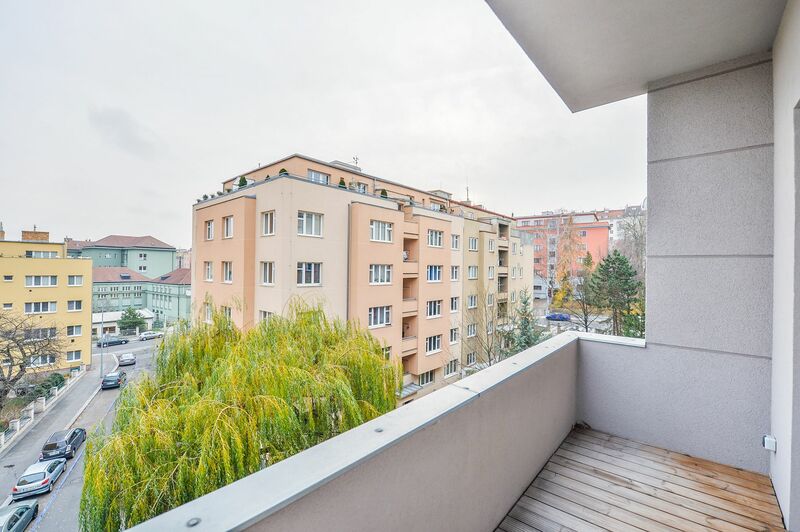 Area with complete public amenities including schools, shops, sports facilities and restaurants, and convenient to international schools. 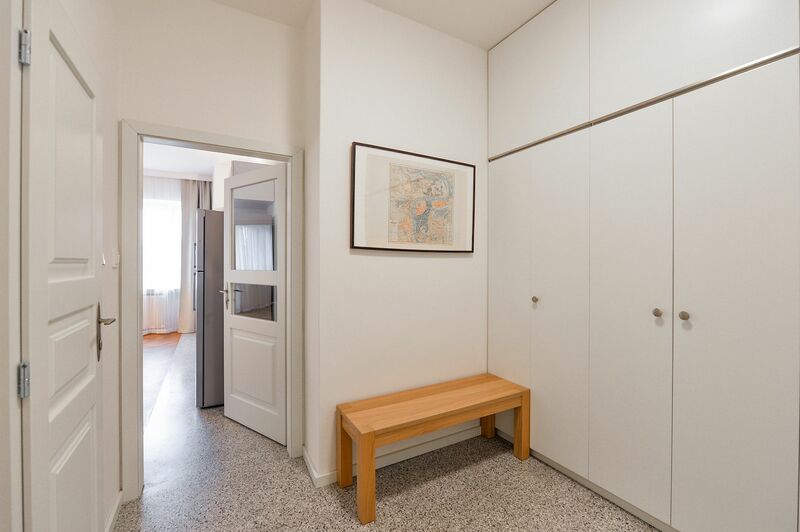 The interior features a living room with a fully fitted open kitchen, a spacious bedroom with a balcony facing the surrounding greenery, bathroom with a walk-in shower, a separate toilet, and entrance hall with built-in wardrobes. 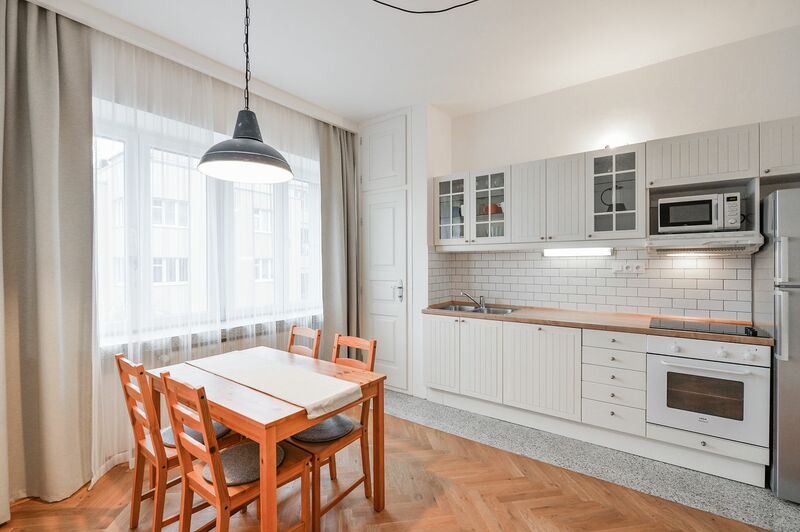 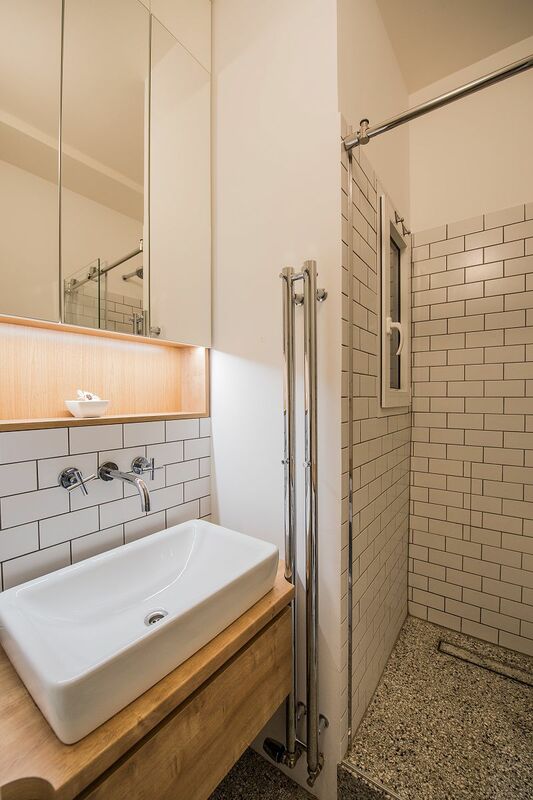 Preserved original details, high ceilings, large windows, solid wood parquet and terazzo floors, security entry door, central heating, washer, dishwasher, microwave oven, UPC cable, cellar. 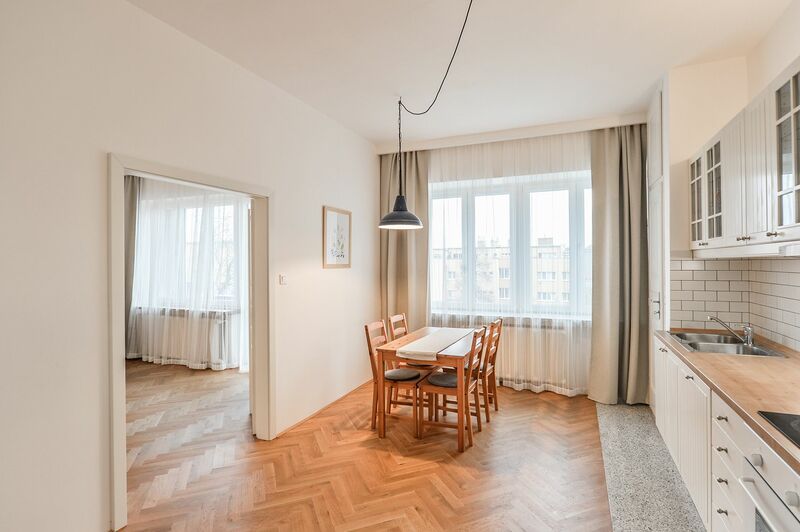 Deposit for service charges, water and heating CZK 2200 per month. 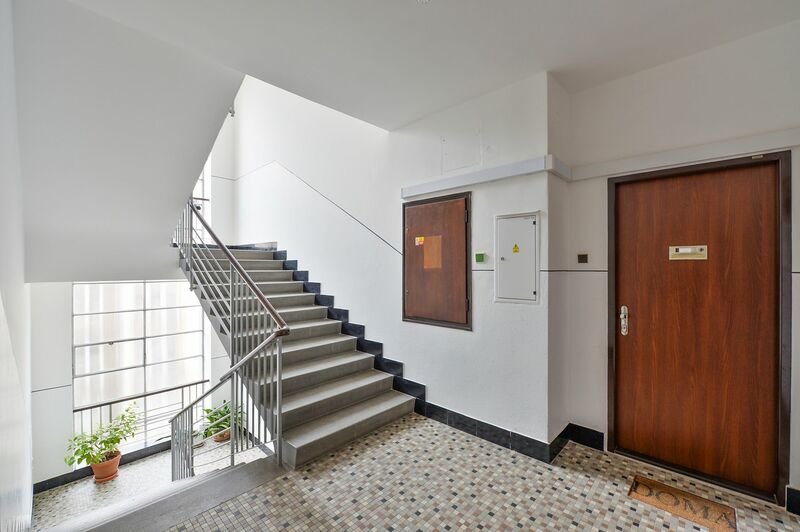 Electricity will be transferred to the tenant.